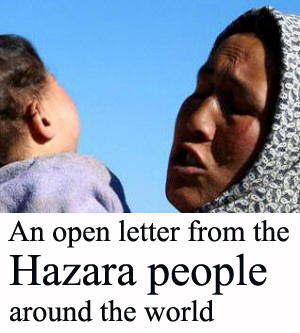 Note: this report is prepared at the official request of Afghanistan’s Ministry of Foreign Affairs in response to UN Human Rights Rapporteurs on the situation of the Hazaras in Afghanistan. Afghanistan Independent Human Rights Commission (AIHRC) is mandated by the Afghan Constitution to promote and protect Human Rights in the country. According to the Rome Statute, taking hostages and attacks against civilians are in grave violation of the Geneva Conventions of 1949 and their Additional Protocols. Hence under the Geneva Conventions targeting civilians and taking hostages constitute cases of war crimes. In addition, attacks against civilians are in violation of the International Humanitarian law and human rights law. 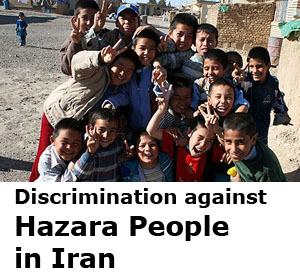 Based on the data gathered by AIHRC since 1393 (2013/2014), the Hazaras in Afghanistan have been subject to various forms of violent attacks. More worryingly, the attacks have increased in 1395 (2015/2016) in comparison to previous years. According to AIHRC’s assessment, some of these attacks have specifically targeted one particular group based on their ethnicity and religion that is the Shia-Hazaras. While Daesh has claimed responsibility for most of these attacks, still there are attacks that no one has claimed responsibility for them. AIHCR has constantly responded to these attacks by issuing press statements and have called on the Afghan government to take concrete measures to stop the spread of Islamic radicalization and protect its citizens. Moreover, AIHRC through these press releases has stated that; specifically targeting civilians constitutes war crimes and the perpetrators should be brought to justice. Unfortunately, most of the alleged perpetrators have not been brought to justice. 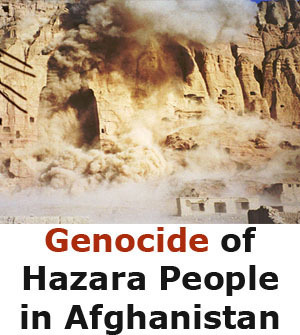 Despite the target killings of the Hazaras, both the Afghan Government officials as well as the Afghan population have not allowed these attacks to increase ethnic and religious tensions. Furthermore, civil society groups, human rights organizations, victims’ families and the Afghan security forces have reiterated that, the attackers want to create ethnic and religious conflict in the country and we should not let that to happen. The leaders of the Afghan National Unity Government have similarly called upon the Afghan people to not allow this attacks further exacerbate ethnic and religious tension in the country. While the National Unity Government has tried to provide security to religious events including for the Sunnis and Shia’s events, still it has not prevented attacks against them completely. It is important to note that prior to the commencement of Shia religious ceremonies, the Afghan Government and the members of this group sat together and discussed better mechanisms on how to protect these ceremonies, yet these efforts have been inadequate at best and attacks took place against Shia and Hazaras. 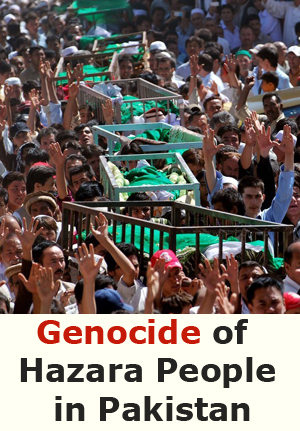 On 23 July 2016, thousands of Kabul residents mostly from the Hazara ethnic minority group were protesting against government plans for a major power project bypassing the Hazara dominated province of Bamiyan when suicide bombers attacked the peaceful march and killed 84 people and injured 283 more. The attack took place at around 3pm at the Deh Mazang Square in Kabul city. After the attack, ISIS claimed responsibility and stated that the Afghan Shia’s are one of their targets. The organizer of this March, the Enlighten Movement accused the government of failing to protect the security of the protesters. The AIHRC’s own investigation also indicate that the security forces were too busy protecting the security of the Government institutions while failing to adequately protect the security of the protesters. The Afghan security forces failure to protect the protesters is unacceptable by the AIHRC. On 11 October 2016, on the eve of Ashura, gunmen wearing police uniform attacked the Sakhi Shrine in Karte Sakhi area in Kabul. In this attack, one police officer, 18 civilians including 3 women and a child was killed and a further 58 civilians including 26 women and four children were injured. After the attack the Islamic State and specifically its Khurasan branch claimed responsibility for the attack. The afghan government also released a statement condemning the attack and stated that the perpetrators of this attack are the enemy of peace and stability in Afghanistan. On 12th of October 2016, on the holy day of Ashura, a roadside bomb targeted a Shia procession in Balkh district in Northern Afghanistan killing 14 and wounding 70 civilians. While no group claimed responsibility for the attack, the Afghan Government officials stated that it was the work of Afghanistan’s enemies. On the 21st of November 2016, Shia mourners were commemorating Arbaeen in the Baqir-ul-ulom mosque located at the Kateb Road in Kabul when a suicde bomber detonated himself among the worshipers killing 32 people including 8 children and injuring 64. Arbaeen is the ritual marking the end of a 40-day mourning period for the 7the century death of Imam Hussain. The attack happened at 12:10 noon when the worshipers had gathered for lunch. Afghan security forces were heavily criticized for failing to protect the worshipers following the attack. For example, the Second vice President while condemning the attack stated that it is the responsibility of the security forces to protect events particularly religious ones. He further stated that the attack on Baqir-ul-Olum demonstrated the weakness of our defence and security forces and we need to reassess the capabilities of these organs. The Islamic State latter claimed responsibility for the attack and announced that one of its members had carried out the attack. The Interior Ministry also released a statement saying that it had suspended four officials from the Area 6 police station where the mosque is located. It also convened a special investigation unit team to investigate the attack but the result of this investigation has not made public yet. On 7th January 2017, when a group of Hazara miners were returning from Tala Wa Barfak district to their home in Dykundi, they were stopped in the Pull E Sher area of Anar Dara while traveling by bus. According to one of the witness who managed to escape from the attack, three armed men wearing mask asked the miners to get out of the bus and lined them up next to the river and shot them. The eyewitness also stated that the attackers said that Shias are not Muslims before firing on them. Consequently, despite the miners’ pleas that they are Muslims, the attackers fired at them killing 7 of them, injuring 4 and 5 managed to escape. While no one has claimed responsibility for this attack, AIHRC’s investigation, and after speaking to eyewitnesses reveal that, this attack was carried out by the local Taliban. The local people have told AIHRC investigators that the Taliban has a strong presence in the Tala Wa Barfak District and no one else can carry out such attacks in this area. The local people, who wanted to remain anonymous privately, told the AIHRC that Qari Meraj, Qari Qutratullah and Qari Musa, Taliban’s shadow district governor for Tala Wa Barfak district is the people responsible for this attack. However, no one has been arrested or detained in connection with this attack. On June 1st, 2016, 17 Hazaras were taken hostage in Sar-e-pull province by unidentified gunman. While the hostages were released latter, still it showed that hostage taking situations such as this one restricted the freedom to movement of the Hazaras and has put their life at risk. On October 25, 2016, Taliban stopped a car carrying 5 students from the Hazara ethnic group and took them hostage. The Taliban killed one of the hostages in a very cruel way and released the remaining 4 a week later. On 5th September 2015, 13 Hazaras were killed in Zari District in Balkh province when they were traveling by car. Armed men stopped their cars and then took them out of the car before shooting them on the side road. While no group has yet claimed responsibility, the Afghan government blamed the enemy of the Afghan people for the attack. However, the Taliban also released a statement condemning the attack and saying that they did not carry out the attack. In February 2015, 31 Hazaras were kidnaped from a bus in Zabul Province, South of Afghanistan when they were traveling from Heart to Kabul. While, 19 of them were freed a few months later, the kidnappers killed 4 of them. However, a further 7 were freed in a government operation. 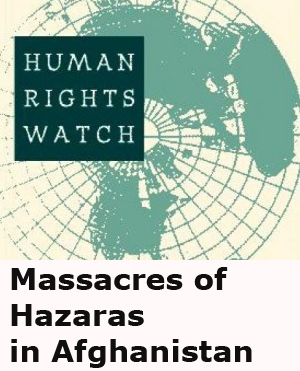 On September 30, 2015, seven Hazaras including two women and an 8-yearold girl and 4 women were traveling from Jaghuri District towards Kandahar when armed men stopped their car and they were subsequently kidnapped. 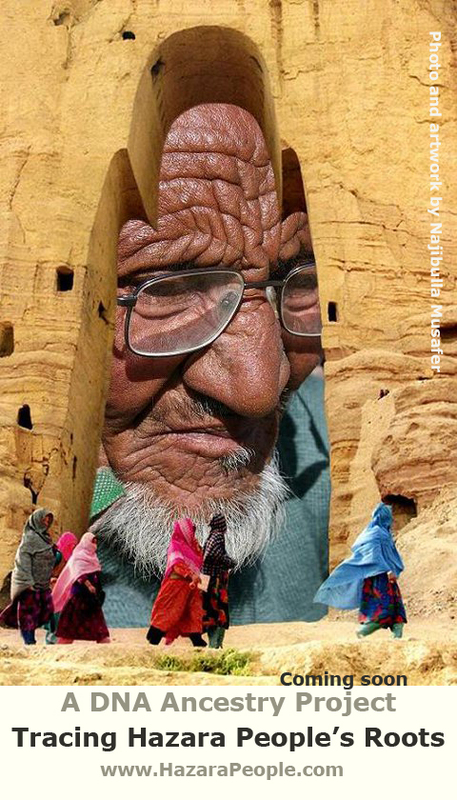 While the kidnappers released one of the woman and one of the elderly man, they took the rest of the Hazaras with them to Khak Afghan district. Latter it was revealed that the kidnappers were originally from Uzbekistan. On November 8, 2015, Afghan security forces conducted an operation in a bit to release the hostages however after two days of fighting the kidnappers beheaded the seven hostages including the eight-year-old girl. According to Afghan officials, the kidnappers were IS fighters from Uzbekistan. The beheading of seven Hazara Hostages was met with waves of national and international condemnation and by Human Rights organizations. The families of the victims and as well as other Kabul resident marched in Kabul city and carried the bodies of the victims on their shoulders. The protesters accused the government of failing to protect civilians and demanded an immediate end to attacks against the Hazaras. Afghan officials, specifically the President’s Office stated that they made repeated attempts to release the hostages but only managed to free 5 of the remaining hostages. However, the hostages themselves dispute this claim. The released hostages claim that the Taliban not Afghan security forces freed them. In late July 2014, in Ghor Province, armed men stopped two mini buses carrying passengers and after singling out 14 Shia Hazaras, killed them on the roadside. The victims included a newlywed couple, women and children. Ghor provincial authorities blamed the Taliban for the attack but no one has officially claimed responsibility for this attack to this day. However, Qari Rahmatullah, a Taliban commander, was later arrested in connection to this attack. According to some reports Qari Rahmatllah had joined the Islamic State.